* Supports SPP mode and HID mode. 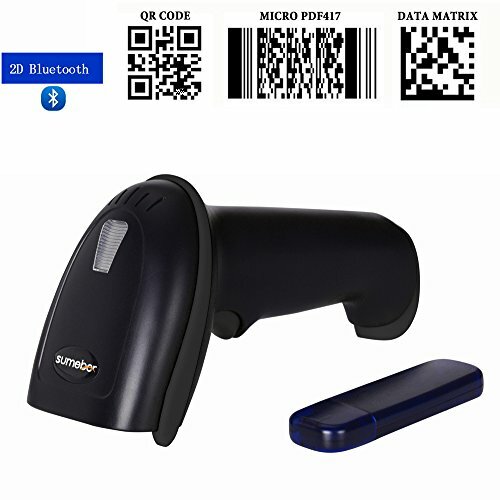 * Support Bluetooth / 2.4G and USB mode, there are two modes to choose from. * The life of the button can reach 8 million times. * Supports keyboard layout of over 20 countries. * 32 bit decoder chip, faster, the lowest error rate. * Built-in 1300 mAh battery, long standby time. * Automatic shutdown function, power saving, easy to use support. 1D: UPC / EAN, Code with Code 128, Code 39, Code 39 Full ASCII, Codabar, Industrial / Interleaved 2 of 5, Code 93, MSI, Code 11, ISBN, ISSN, Chinapost etc. 2D: QR code, data matrix, PDF417, etc. Impact resistance: After it falls from 1.2 m to the ground of concrete, it can still work login.